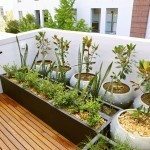 Got soil, got a container, got a balcony, rooftop, or a stoop? If the answer to these is yes, then you have all the ingredients necessary to create a mini garden. Anything that can be grown in a garden can be grown in a container. Thereby you have the answer to “Can you grow corn in containers?” A resounding, “yes!” You can grow corn in a container. First of all when growing corn in pots, you must select a container. Use your imagination. Not only will a clay pot work, but lined wooden crates, garbage cans, laundry baskets, barrels, etc. will all suffice. Just be sure they have adequate drainage and are big enough to support fully grown corn plants: at least 12 inches wide and over 12 inches deep. Only about four corn plants will fit with room to grow in a 12-inch pot, so you may need several depending on available space. Use container garden soil specifically formulated to retain moisture and add a bit of fish emulsion or other all-purpose fertilizer to the mix. Space the corn seeds 4-6 inches apart, four seeds per container, about an inch deep into the soil media. If planting multiple pots of corn seeds, space the containers 5-6 inches away from each other. There’s nothing complex regarding the care of corn in containers. Corn needs full sun and warm soil, so situate in an area that gets six or more hours of full sun, ideally against a wall that will retain heat and reflect light. Water regularly in the morning with a 10-10-10 fertilizer added once the plants are 2 feet tall. Water the corn again in the evening. Mulching around the plants with wood chips, newspaper or grass clippings will also aid in water retention. With sunny days and fairly minimal care, you should be reaping your corn bounty from your own front steps or lanai in no time.